How rigid can we become? Rigidity surrounds us, while we often chance to stand mystified in apparent wonder, regarding the monuments, bridges, temples, pillars and all manner of structures from antiquity, with a deliberation that strives only to remark at their ungraspable strength, we remain naïve at the ever so tenuous yet significant grip that rigidity holds upon us. We cannot escape its symmetrical and deliberately balanced construction, in the forms of man made structures, yet equally we cannot tear ourselves away from the pressure it exerts upon us. When we find ourselves in a situation that proves demanding, the long, elongated, skeletal hands, poignant renditions of rigidity itself, reduced to the unalterable structure that appears to highlight our mortality, grasp us, ensuring a tension that is uncompromisingly firm and unyielding in it’s discomfort. The hands illustrate the aspect of are conscience that triggers tension, anxiety, stress and an agitated edginess that confines itself to the very fibrous tissue of our muscles that serve under our often tenuous command. As the hands serve merely as unconscious manifestations of the tension within us, this tension constantly strives to retain invisibility, and while we often physically appear free from its grasp it’s power often proves unshakeable and when the hands dwindle away, their grip delivers a strain, perhaps of some untimely unease in the shoulder or awkward twinge of pain in the neck, that lasts for some time. For the moment that we suffer under their grasp we feel inflexible, fixed in an apprehensive and inconstant stance in a place that feels so densely impenetrable and constricted, to the extent that the very air proves itself to be surprisingly firm, oddly hard and we become as solid as a tortoise shell, clenched in an uncomfortable, self-constricting anguish – designed for nothing, merely as a form of precaution to soften the impact itself, so that when it strikes some of it’s power becomes diminished by the experience of previous anxiety that preceded it. This tension proves to be destructive, however the destruction that it causes can be braced, and it can be met with a force that quenches it’s desire for control, for it is the very lack of structure and control that demands it’s existence. By depriving it from achieving control, order should immediately be distilled, so that the panic does not assume it’s incredible grasp. The tension lives on rigidity, it is like water to its thirst. It’s strength lies in it’s invisibility, however this tension can be externalised, turned inside out, so that it can be paraded in it’s beautifully vulgar glory, viewed in a predicament unpleasant to behold, so that it can be demoralised, frowned upon, laughed and jeered at – so that, when it reaches the height of infamous and incredulous ugliness, it loses the power to assume control, becoming unrecognizable and insignificant. We can become as rigid as we like; however, rigidity proves itself to be inferior to our more refined characteristics, such as flexibility, change and movability. It defines itself in its inability to be changed or transformed – this strength also brings it weakness, for it cannot adapt to different circumstances, and therefore it cannot live. Here is a selection of images that show tension and rigidity in structures around us. 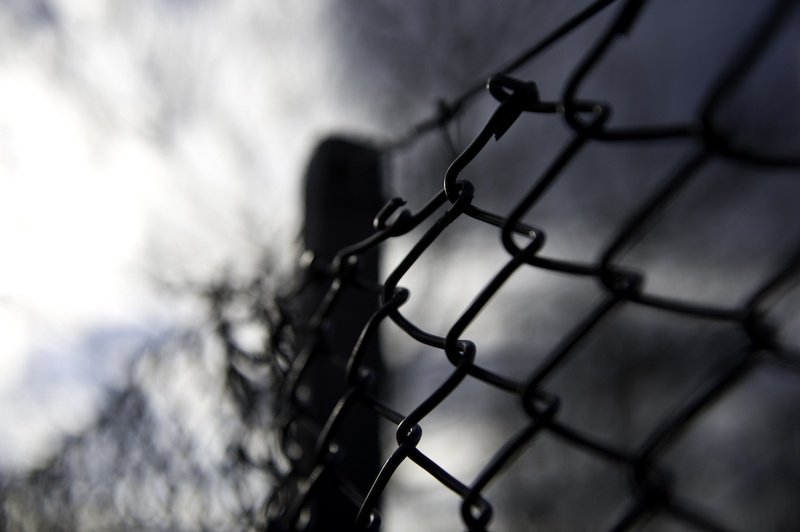 This entry was posted in Photography, Visual art on February 28, 2010 by adhowells. 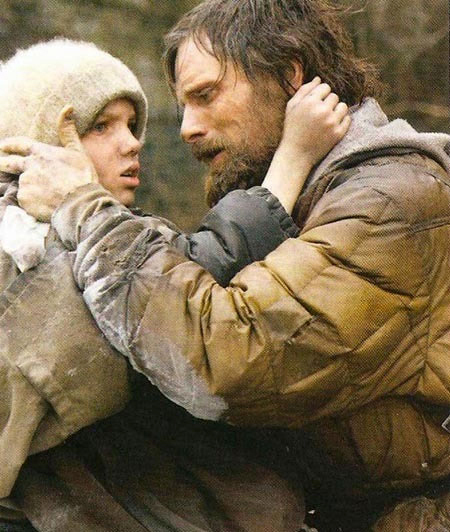 The scene in which we are introduced to the Man and Boy in The Road, a 2009 film adapted from Cormac McCarthy’s novel, under the same title, serves to exemplify the relationship between father and son, in which the son relies on the father for comfort, reassurance and help. Set in a post-apocalyptic world, father and son are part of a numbered few, surviving in the last remnants of a civilization that has been reduced to scattered gangs of thieves and cannibals. This shattered world is a canvas upon which father and son are tested to the limits of their consciences, ultimately they a bound by love, but can this love be taken to the extent that the father takes it, as he considers killing his son rather than letting him be consumed in a way rather more grotesque? The boys reliance and devotion towards his father is beset with difficulty, while the father solely cares for their own survival, the boy proves to be evangelical in his desire to help others, as an old man they meet on their travels expresses: “When I saw that boy I thought I’d died and he was an angel. I never thought I’d see a child again”. However it is the relationship that establishes the characters and their position, so the boy grows, to the extent that he can survive without his father. The relationship between father and son is bound by inseparable love; while the father lives solely for the future of his son, the son relies on his father for reassurance and help. The boy’s desire for reassurance is illustrated in the way that the father and son survive, their belief is that they have to “carry the fire” that burns inside them, this becomes a mantra that keeps them going, preventing them from reaching despair. The two characters in The Train to Eternity, a screenplay that I am currently writing, share a relationship that is not unlike the father and son relationship. Sebastian, and 80 year old man assumes the role of the adult, father figure that constantly watches over his son, keeping him from harms way, while Piccadilly, a 22 year old man with short-term memory loss, is naïve, questioning and inexperienced. Although at the surface, he appears to be lively, hyperactive, perhaps over-emotional, underneath he is inherently laid back, unaware, with the constant reliance of his elder, more experienced friend to look after him. Unlike Piccadilly, Sebastian assumes the appearance of one calmer, under control, illustrated in his dialogue and actions, beneath this deceiving veil, he is deeply agitated and anxious – this cannot be seen by Piccadilly, and is his deepest flaw. For, Piccadilly cannot understand what his friend has gone through, nor that they can only coexist, not dwell in separation. Father and son stories interest me, as Joe in The Biker (2009) confronted his fears and anxieties, which partly manifested themselves in the relationship with his father, The Train to Eternity examines a father and son relationship in the abstract, unbinding the cords that make such a relationship, and tying them into something, where the basic knots that form trust and love exist without the genetics. However when Piccadilly comes to meet his father, he remains as emotionally detached, if not more so, that he had been with Sebastian. The story is one that forms itself in Piccadilly’s mind, it does not serve to explicate anything other than his emotional journey, which peaks in activity and enthusiasm at his “birth”, at which he delivers a repetitive stream of questions concerning his immediate situation, from then there is a downfall, plummeting towards his “death”, at which his entire “life” becomes forgotten – the cycle continues its inexhaustible constriction into a circle, as a train does, for eternity. Dan and Joe in The Biker – production still. This entry was posted in Film, Review on February 25, 2010 by adhowells.